Headphones and earphones are two of the most frequent accessories we tend to use alongside our smartphones. Be it a wireless headphone, wired earphone – anything that enables you to listen to music does come with a miniature speaker inside. 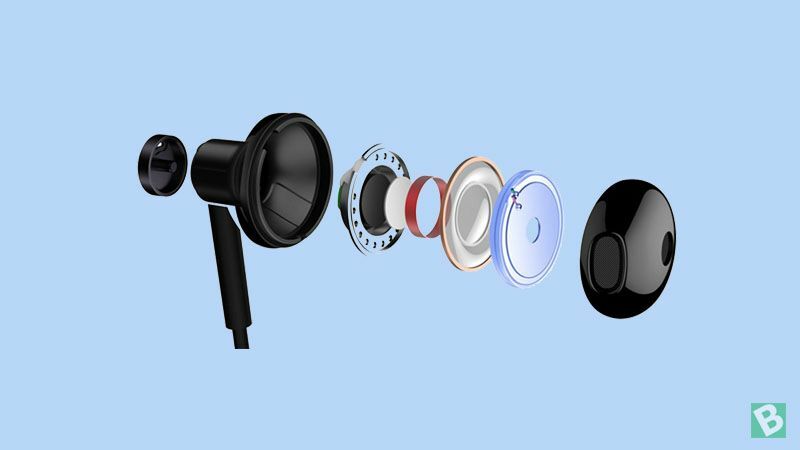 In this article, we are discussing the types of speaker drivers present inside our earphones and headphones, their advantages and disadvantages. We hope this important piece of information will let you purchase better-sounding earphones/headphones in the future. If you’re a newbie to the tech world and think this might be too much for me, fret not. This article is written in simple layman terms for everyone to understand better and be informed. We are all used to hear the word speakers but seldom heard about ‘drivers‘. Well, technically speaking, the speaker and the driver combined is what lets out the audible sound output. A speaker driver is defined as a part of the speaker which converts electrical signals into a sound output. Generally, the larger the diameter of a speaker driver, louder the sound output it can produce. Earphones can have driver sizes ranging from 7-15mm and headphones usually come with drivers ranging from 30-50mm. But not always does the size alone contribute to the quality of the sound output from a speaker, but also the type of driver present in the speaker setup. Certain earphones feature multiple drivers for precisely reproducing the musical notes under different frequencies. How does a speaker driver produce sound? The electrical signal from the host device – usually a smartphone or a laptop to which the headphone/earphone is plugged into magnetizes the voice coil inside the speaker. This makes the voice coil to oscillate and push the air column in front of it. The pulsating vibrations then push the diaphragm back and forth, creating audible sound output. Dynamic drivers are the most common type of drivers found inside the headphones and earphones in the market. A dynamic speaker driver unit consists of three main parts namely – a magnet, a voice coil and a diaphragm. The magnet is usually a tiny neodymium strip which is one of the most powerful rare earth magnets available. Ferrite magnets are also found on headphone/earphone speaker drivers, but these are not as efficient as neodymium magnets. A voice coil, as the name suggests is a rounded coil made from a conducting material. The diaphragm is the cone-shaped paper covering the inner hardware of a speaker. When the electrical signals reach the voice coil, it turns in to an electromagnet. This creates an alternating attractive and repelling action between the static magnet and the voice coil. The back and forth motion makes the diaphragm to vibrate and produce sound. Planar Magnetic Drivers relies upon the principle of electromagnetism, similar to the dynamic driver units. These type of drivers are usually found on expensive premium headphones. In a planar magnetic driver, the voice coil runs around the diaphragm with a static magnet placed nearby. When the electrical signals reach the voice coil, the diaphragm oscillates back and forth, creating sound waves. The difference between the planar magnetic driver and a dynamic driver is in the fact that, in the later, the diaphragm movement is brought about by the vibrating air column behind. In order to make the entire diaphragm vibrate at once, larger diameter magnets are used, which contributes to the substantial heft of the headphones with this technology. Since the size of the magnets is larger, the headphones will have considerable heft and may look bulky. Headphones with electrostatic drivers are very uncommon in the market, primarily due to their ultra-expensive price tags and specific use-case scenarios. Electrostatic drivers consist of a very thin diaphragm sandwiched between two metal plates. There are no magnets involved in the operation and the working principle of these drivers are based on static electricity. When the electric current hits the plates, alternate polarity current is induced on them, which in turn attracts and repels the perforated diaphragm resulting in the production of sound waves. Performs poorly on devices with no amplifier onboard. Balanced Armature Drivers are found on In-Ear monitor earphones. This driver consists of an armature with a coil wounded over it, sandwiched between two magnets. When there are no electrical signals, this armature stays perfectly balanced between the magnets. When the current passes through the coil, the armature starts to oscillate back and forth, generating sound waves. These drivers can be factory tuned for better response characteristics with musical notes of a particular frequency. Multiple drivers may be required for covering the entire audible frequency spectrum. Even knowledgeable people among us think only about the size of the speaker driver while purchasing a headphone/earphone. But at the same time, even a larger driver may not be able to output better quality sound and now you know why. If you are a sound engineering professional, we advise you to invest your money in an expensive and premium electrostatic driver powered headphone. If you are in search of a better sounding premium earphone, you can choose to make up your mind on a balanced armature driver powered one with multiple drivers. If you are on a shoestring budget, purchasing a regular dynamic driver powered headphone/earphone is the best bet. Planar magnetic driver powered headphones deliver excellent quality sound output, provided you’re aiming to purchase one in the premium budget category. Last but not least, we wish you a rewarding purchase experience and thanks for your valuable time on our website.